You’re undaunted by challenges. In fact, you seek them out. You believe that a world of good starts with one person. One step. We believe that too. So what are you waiting for? Start the journey to become a Husky today. When you come to the UW’s Seattle campus, you’re part of more than the innovative city that’s brought us everything from legendary music to lifesaving cures. You’re part of something bigger, too. You’re part of a globally connected community that loves to innovate, to explore, to create. Here, you’re part of Seattle’s vibrant history — and the world’s promising future. Our mission at UW Bothell is to make an exceptional college education accessible to more students — people just like you. No matter your background or future aspirations, if you are a strong, committed student, we want to help make your dream of a UW degree possible. 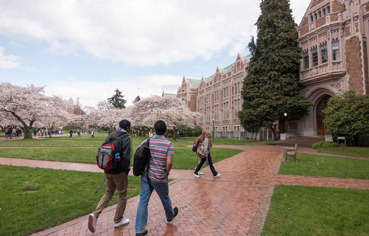 We are a student-centered, right-sized campus with 6,000 students, more than 350 faculty, five schools, more than 50 undergraduate and master’s degree programs, and direct access to the big-school resources of the tri-campus University of Washington. At UW Tacoma, students become engines of change for themselves, their families and their communities. 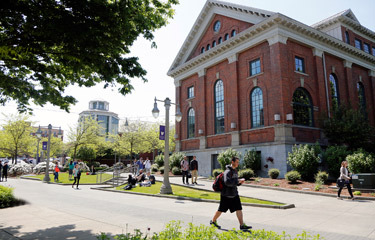 Set in beautiful historic downtown Tacoma, the campus melds classic urban architecture with modern technology. Faculty and students work together in small classes striving for academic excellence, personal growth and professional expertise. 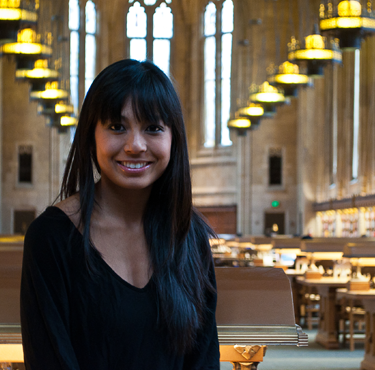 The University of Washington offers more than 370 graduate programs across all three UW campuses and online, from master’s to doctoral programs for people who are launching or continuing academic, research or professional careers. To explore or to apply to a graduate program, start with the Graduate School. 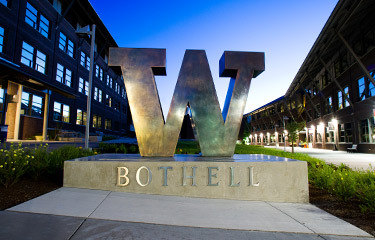 The UW School of Law is one of the nation’s top public law schools and one of the world’s most respected centers for interdisciplinary legal scholarship and study. Our innovative, student-focused learning environment prepares our students to succeed in the evolving legal profession and to go on to be leaders for the global common good. The UW School of Medicine, renowned for its pioneering research, is recognized as one of the nation’s top medical schools. Its unique community-based medical education program, WWAMI, serves a five-state region and emphasizes training clinicians to serve in rural areas. Choose from more than 130 certificate programs, 70 degrees and hundreds of courses with part-time options in the evening, on weekends and online. Choose from 50 certificate programs, 20 degrees and hundreds of courses.